A controversial criminal case in Virginia has drawn the attention of Canada’s former Minister of Justice. 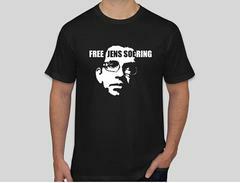 Irwin Cotler, who fought for the freedom of Nelson Mandela and the Russian dissident Anatoly Sharansky, met Tuesday with convicted killer Jens Soering and vowed to focus global attention on his plight if Virginia doesn’t free him soon. Irwin Cotler heads Canada’s Raoul Wallenberg Center named for a Swedish diplomat who saved 100,000 Jews from the Nazis. Among other things, the center looks into wrongful convictions – and Cotler is convinced that the Soering case is one of those. “False confessions, false accusations, junk forensic science, bad defense counsel, and not withstanding all these markers he’s still enduring imprisonment!” Cotler says. In 1990 Soering – an honors student at the University of Virginia, was convicted of single-handedly killing his girlfriend’s parents with a knife. He confessed to the crime, he says, to protect the real killer – the girlfriend – who is also serving time as an accessory to the crime. 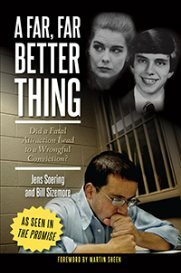 There’s growing evidence to suggest Soering is innocent, but three governors have refused to free him. If that doesn’t happen soon, Cotler says he’ll inform the international bar association, innocence projects and reporters around the world. Republicans in Virginia have insisted Soering should serve his full life sentence, while some Democrats – like former Governor Tim Kaine – favored sending him back to his homeland -- Germany.